According to latest Human Development Index(HDI) report released by the UN, India has done very well in the field of education. In last ten years there has been a 28.5% increase in the number of children going to school and this has been a remarkable achievement. But unfortunately Public Health continues to suffer and the indicators are not positive. 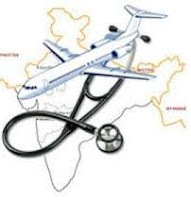 Though smaller states like Kerala, Delhi and Goa have been able to provide both preventive health and nutrition services the much more populous states like Uttar Pradesh (UP), Bihar and Madhya Pradesh (MP) continue to languish. UP for example now boasts of a world class formula one circuit, but continues to have abysmal primary health infrastructure. This is the divide in India which i am never able to understand. Providing primary health, adequate nutrition and sanitation are the basic requirements that a citizen asks of its government. So clearly the government has decided that running an Airline is a priority but not providing basic medical facilities. But I wonder if this is a viable situation which will have implications for the future. With a young population it is important for public health facilities to be upgraded, immunization provided and stress laid on nutrition. I believe the best way out of the mess is to provide most of these facilities in the schools. As the percentage of children going to schools are increasing, most schools could also double up as a public health facility with focus on primary care and nutrition. Some years ago Mr MG Ramachandran the late Chief Minister of Tamil Nadu had stated the mid day meal initiative to give added incentive to parents from poor back grounds to send their children to schools. The same scheme could be used to provide a balanced diet to the children. Indian politics and governance has a habit of making up strategy as we go along. Health unfortunately is a matter of strategic importance and government will do well to wake up to it. Its ture and alarming in an over-populated country like ours! Like the idea…based on the stats to merge the health and education, although they are merged theoretically not practically…. Government needs to be unbiased-Anna! The problem remains as successive governments turn a blind eye to this potential threat to our growth. A healthy mind and body are the biggest assets to any nations development. Clubbing Health and Education will eliminate the problem in the early stages of an individuals life. I like your idea of combining health and education. Both are synchronous and inter-dependent. Health, like many other sectors in India, needs reform. Top most on the agenda must be getting it under central govt purview and not leaving it to the states to deliver. It might compete well with airlines for govt attention, if that happens. @ Salil I agree, and that I feel that is an innovative solution to the problem. I think if the government focuses on preventive health, they can be more effective.